What are the top three things to do in Kolkata this summer? Let’s think and do something different to spend this summer in Kolkata. This cultural and romantic city has much to give you, can amaze you with many years old history, beautiful old and modern architects and decors. Oh no! But how to control such excessive heat here? Yeah, and so will love to tell you what are the things I mostly prefer to do when I’m in Kolkata during summer. This time I’ll really like giving importance to comfort first than anything else. Just a reminder, according to comfort, here are some pointed things I prefer to do when I’m in Kolkata in the summer. I’m not going so far away from the main city, as so much to explore from the nearby itself. 4 Like This Post? Click To Save To Your Pinterest Board! Yes, I love spending hours after hours in malls. Why? The reason very simple, comfort matters always, especially in summer. Do I shop a lot? Surely not 😉 Do I love eating? Yes, depends on menus… And the movie? Oh yes, I love that. 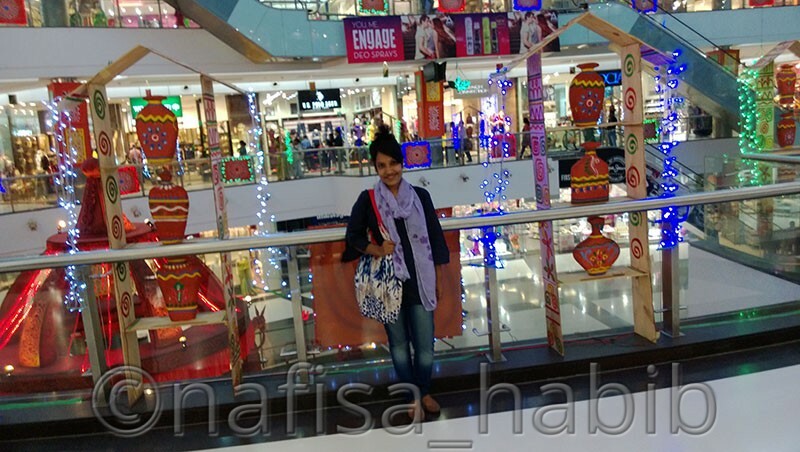 Let’s check out three of the best shopping malls in Kolkata. 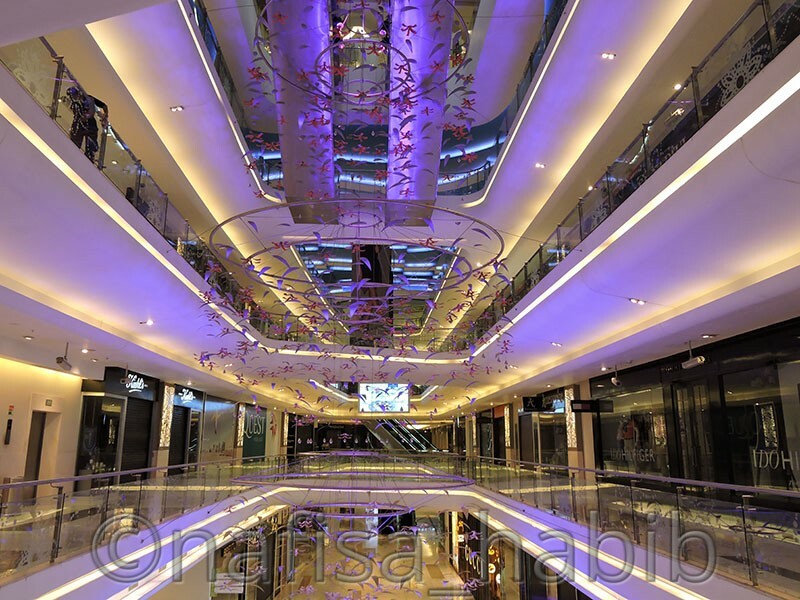 If you are in the New Market area or Marquis Street, then this luxury mall is very near to you in Park Circus. Just get one auto or taxi, within 20 mins you can reach here. 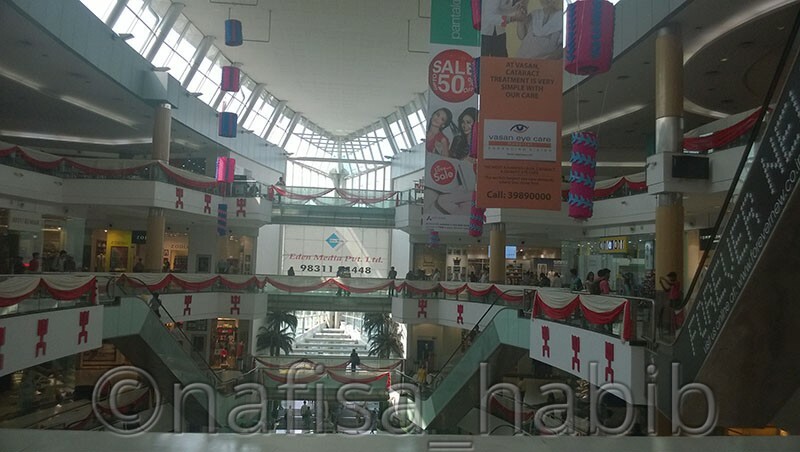 I love most the wide space and modern architect and beautiful decor of this largest mall. Shopping in Quest Mall will cost you more as mostly all luxury brands like Rolex, Gucci, Paul Smith and much more are available here. INOX Insignia is a must try destination here for all movie lovers who love enjoying movies in the most comfortable way. Though the ticket price is high but worth to pay. 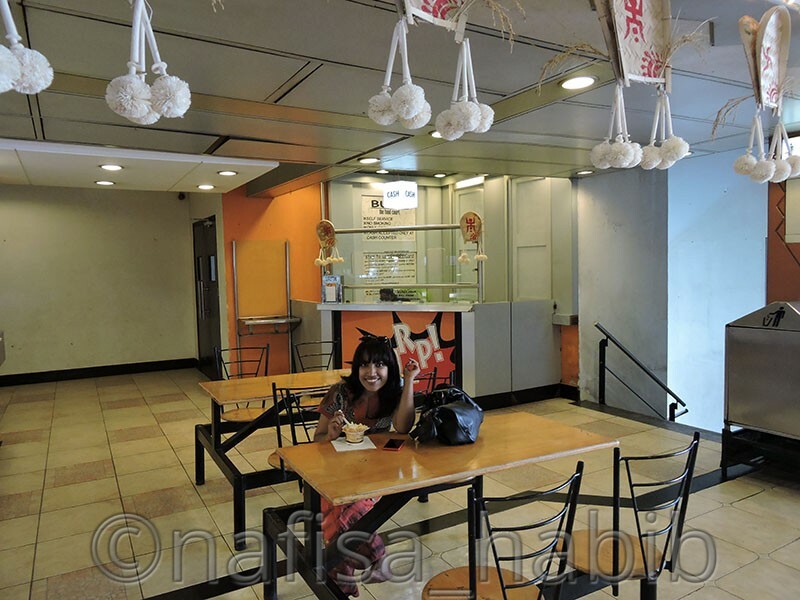 You can also go for eating from various restaurants at the food court here, food price varies according to your choices. My favorite restaurant here is Masala Kitchen. Forum Mall in Elgin Road is my most favorite shopping destination. This is also very near if you are staying nearby in the New Market area. 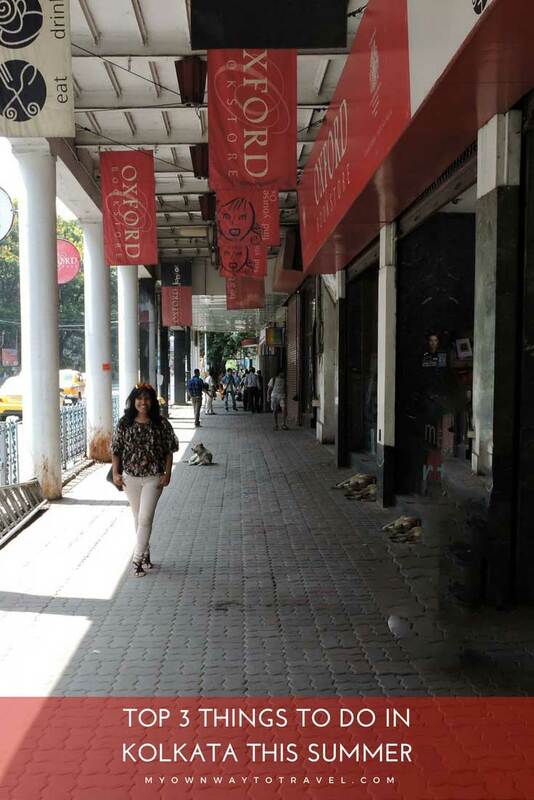 I do enjoy smart shopping here, mostly from the Shoppers Stop, prices are adjustable when you are more conscious of good design and unique collections. South City Mall is also one of the largest in Prince Anwar Shah Road, Kolkata but bit far away, taxi fare will cost you almost 100 to 150 Rs from Marquis Street. Two times I had been here and the various decor in different festive like Pohela Baishakh, Durga Puja, Happy New year, and Merry Christmas catches my attention the most. I’ve loved their sense of decor, which has given this modern architect a completely different look. 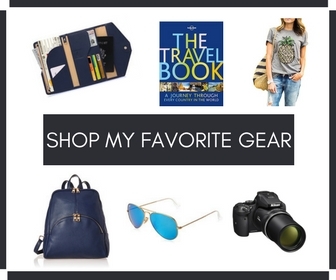 If you love shopping costly branded products then must visit those stores here. My favorite shopping store here is Spencer’s on the ground floor where you can get all necessary commodities at a reasonable price. And pastry lovers (I’m one of them) must visit Spencers Patisserie, you’ll just love that. 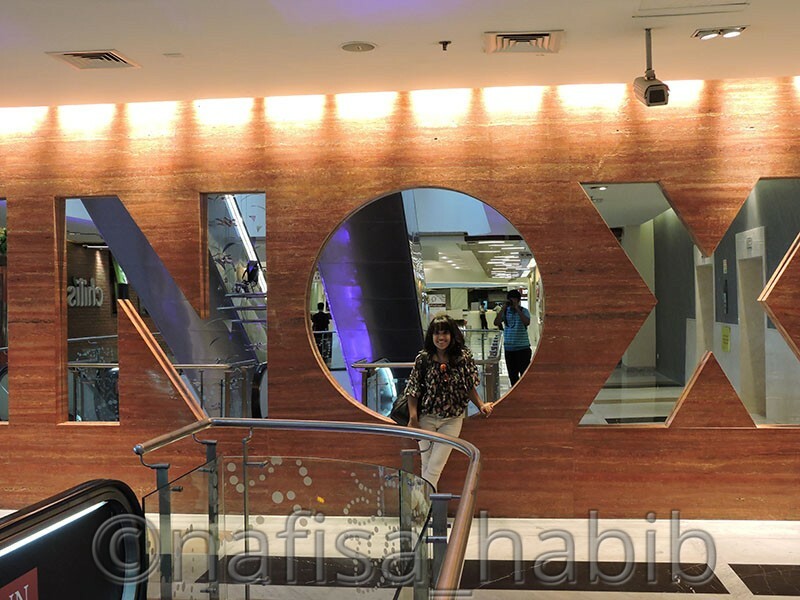 For movies always my favorite has been INOX multiplex in any shopping mall. To know more about food and restaurants in the Kolkata shopping mall you can also read the following post. Dating with a book!! Sounds romantic! Yes, traveling‬ without a book is really impossible. And so, whenever I’m in‪ ‎Kolkata‬ I always go back to my most loving place, beautifully decorated Oxford Bookstore. This time here one corner named as Date With a Book took my attention and found that very interesting where all books wrapped with colorful papers and decorated with many hands wrote love quotes. Yes, all book lovers must visit this classy store to buy books from different sections, gifts, music CD/DVDs. 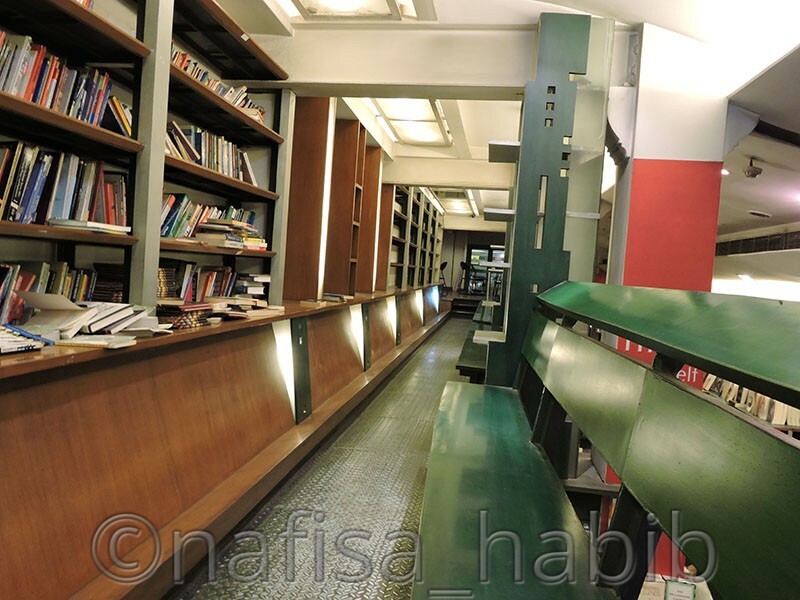 But here I’m always happy inside reading a book with light music sitting in a corner. So calm and peaceful. Can I have one Black Forest now? 😉 There is one Cha Bar here to drink black coffee/tea and many snack items. Just a lovely place to explore here in the city. What can be the best choice nearby in the city to enjoy a perfect evening with nature this summer? Again, I love nature and all nature lovers around don’t miss the lovely view of nature from Kolkata itself. There are some priceless moments in nature, you can’t buy those with money. Just made you speechless and the happiest one in a second. 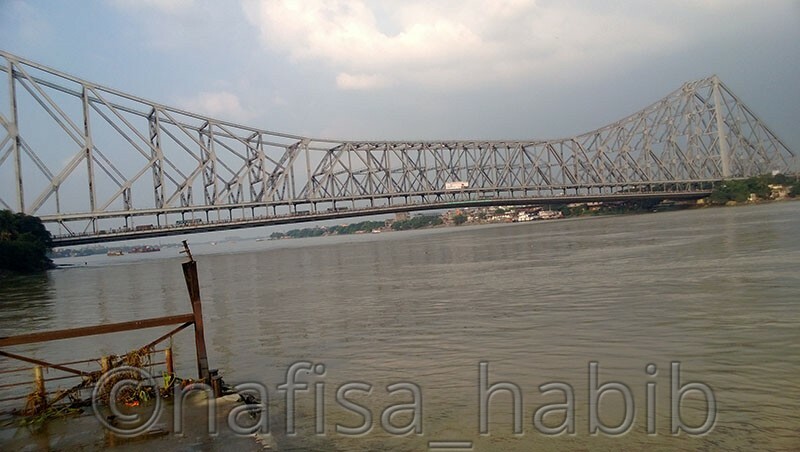 Open fresh air, a beautiful sunset, boating on the Hooghly river, and watching the modern architect Howrah Bridge from the Millennium Park in the Strand Road can be the best destination to explore nearby in Kolkata. A perfect place for all photographers as well where they get the golden hour (Moments of Sunset), the perfect timing for photography. I did enjoy the most ferry ride here from the Armenian Ghat-Howrah Ferry service which took me to enjoy the most beautiful Howrah Bridge but no photo shooting allowed here. Only you can capture the amazing landscape of the Hooghly river view from the bridge. Actually, there are much more to explore in Kolkata it depends on your choice, interest, and budget. That’s something I did love. Let’s share. What you love most to do in Kolkata? Anything special?